Lillian Goodman wrote her original Doreborn article c 1978 which AHT extended in 2004 and 2011. However, the mystery about multiple use of the Doreborn kennel name remained unresolved. Lyall Payne and Steve Tillotson have recently (February 2016) re-visited the issue and have now unravelled this long standing mystery. 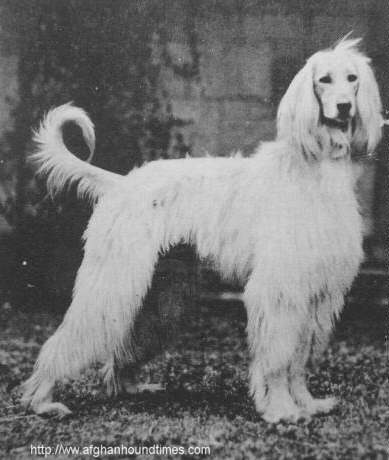 English born Ann Dore became Mrs James O Sanborn (James Oren Sanborn 1891-1930) on 31 May 1921 and started breeding dogs at their home in Pond Rd, Greene, Maine, using the prefix Doreborn. The kennel name is derived from her maiden and married surnames (DORE and sanBORN = DOREBORN). James Sanborn died on 27 June 1930. Ann then married Arthur B DeWitt (Arthur Birchard DeWitt 1892-1957). Anne then registered dogs under the Doreborn kennel name with her new married name Anne D De Witt (her name also appears as Anne Sanborn De Witt). The registrations invaribly use the split name De Witt whereas the name occurs elsewhere as one word - DeWitt. We also find another name in the registrations for an "entity" using the name Doreborn. That entity being "Doreborn Kennel". We have yet to find a reference to the ownership of this Doreborn Kennel entity but it would seem most logical that this entity was in fact Mrs Anne D De Witt who registered the kennel name (when she was known as Mrs James Sanborn) with the AKC in 1922. Data input errors in the some electronic records further exacerbated the confusion. For example a litter of 8 born in April 1937 were recorded as being bred by Q A Shaw Mckean (Prides Hill) but registered under the Doreborn kennel name. In actuality, the breeder was Mrs Anne D De Witt and apparently Q A Shaw Mckean became owner of the entire litter. Another data input error in the electronic records showed Benjamin Decker (Jac-A-Leen) as breeder of a Doreborns litter of 8 in June 1938, when in fact the registered breeder was "Doreborn Kennels" and owner of several of this litter was Benjamin Decker. See what I mean about a bit of confusion about the Doreborn kennel name? I understand that unsubstantiated rumor had it that Anne and Muriel co-owned Doreborn Kennels at one time and were located in Connecticut, but this has never been confirmed. 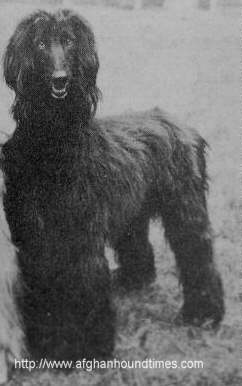 However, the AKC registered all Afs with the kennel name "DOREBORN" (listed before the rest of the name) as being owned and bred by Mrs Anne de Witt of Basking Ridge, New Jersey, while Afs registered with "OF DOREBORN" folowing the name, were listed as owned by Mr and Mrs Robert and Muriel Boger of Wayland, Massachusetts.